The Duncan Student Center at the University of Notre Dame will open in its entirety to students, faculty, staff and the greater Notre Dame community on Jan. 15 (Monday). 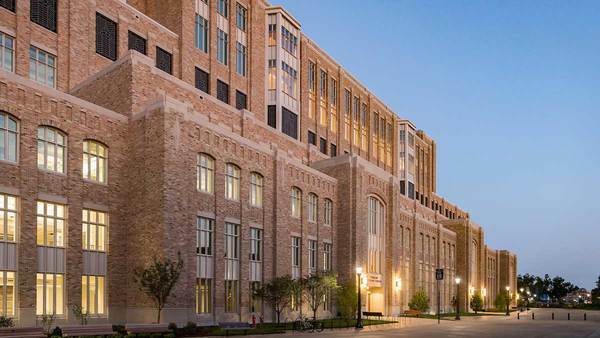 With ample recreation and relaxation space, career services facilities, three dining options, student organization space and space for student-oriented programming, the facility will soon exist as a venue to foster the community atmosphere for which Notre Dame is so well known. To commemorate the opening, a communitywide daylong celebration will be held from 9 a.m. to 6 p.m. Jan. 15 with an official ribbon cutting ceremony at 11:30 a.m. in front of the first-floor fireplace. 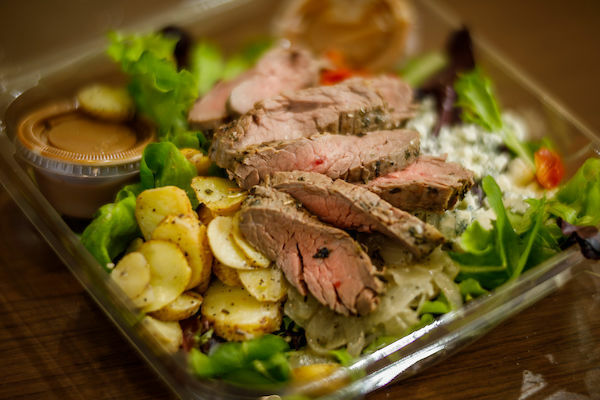 Food samples from the facility’s three micro-restaurants will be served from noon to 2 p.m. Staff operating in the new building will also be available throughout the day to offer guided tours of their spaces on floors 2, 3, 4 and 5. The first floor inside the new student center will house flexible, state-of-the-art meeting rooms, innovation space, lounges, dining areas and offices. Spaces include the Jan and Marty Hiller Midfield Commons, a comfortable setting conducive to studying or socializing;the Hagerty Family Café, serving Intelligentsia coffee and desserts; and two additional dining options, Modern Market, a farm to fork concept, and Star Ginger Asian Grill and Noodle Bar, a Vietnamese micro-restaurant. The Thomas and Therese Grojean Family Loft will occupy the second floor to provide a setting for students to come together over food, schoolwork and relaxation. The loft also houses a large portion of the student media suite, which will offer a media laboratory atmosphere with newsrooms and radio studios visible through clear glass and an open television studio. Student media operations for NDTV, The Voice of the Fighting Irish (WVFI) internet radio, WSND-FM, Dome yearbook, Scholastic magazine and The Juggler will all relocate to the space. Also on the second floor, graduate students will have dedicated graduate student-only study and lounge space in close proximity to the new home of Graduate Student Life and the Graduate Student Union. The Office of Residential Life will also relocate on the southern portion of the second floor to provide easier access to services such as housing, rector support, RA development, summer housing and off-campus student support. Commissioned artwork designed to celebrate the diversity that exists among Notre Dame students, faculty and staff will also be installed on the first two floors in the spring of 2018. 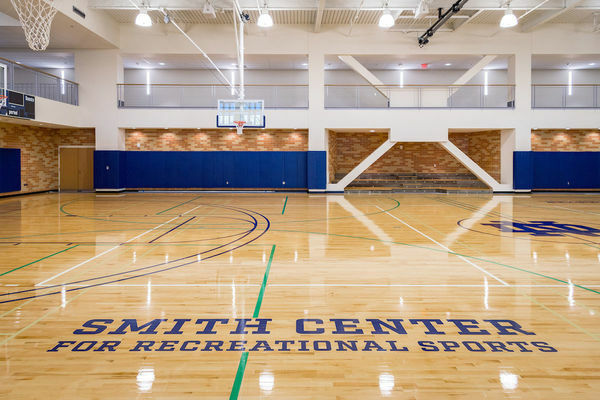 The Smith Center for Recreational Sports facility on the third and fourth floors will offer triple the amount of fitness space currently available in Rolfs Sports Recreation Center and will complement existing space in the Rockne Memorial and the new recreational courts in the North Dome of the Joyce Center. A three-story climbing wall, which will span the second, third and fourth floors, will be surrounded by a 1/6-mile suspended indoor track with an adjacent basketball court. 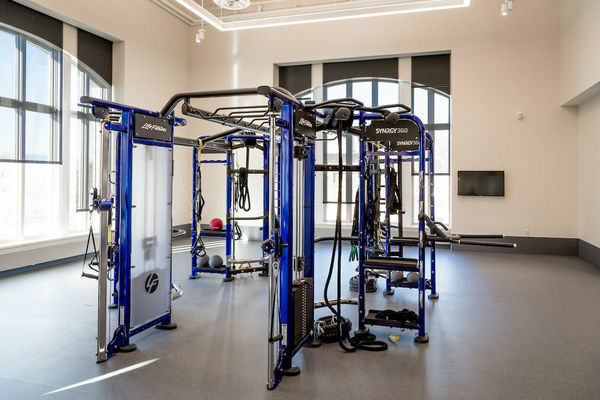 These features, in addition to a variety of new equipment, will allow RecSports to broaden its fitness programming. The fifth floor features an expanded Center for Career Development, with more than 40 interview rooms and meeting space to benefit students. Many of the rooms will be available for students to use in the evening for studying and student organization meetings. 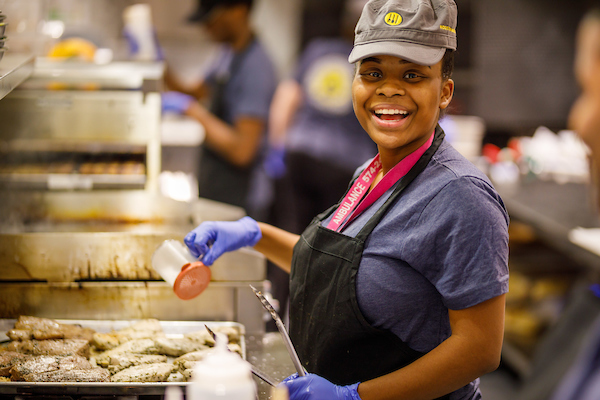 The center will also centrally locate Undergraduate Career Services, Graduate Career Services, Mendoza Graduate Business Career Services, and an employer engagement team to engage with alumni and recruiters. Originally published by Kate Morgan at news.nd.edu on January 11, 2018.